As it does every year, Clarivate Analytics publishes Highly Cited Researchers, the list of the most influential scientists in the world. And, once again this year, it features leading professionals from the barnaclínic+ medical team. On this occasion, it includes Drs Josep Dalmau, Ramón Estruch, Francesc Graus, Eduard Tolosa and Eduard Vieta. In addition to those already mentioned, other professionals in the Hospital Clínic – IDIBAPS Group are also included on the list. These are: Vicente Arroyo, Joan Bladé, Jordi Bruix, Elías Campo, Josep M. Llovet, Julià Panés, Joaquim Radua and Emili Ros. Three researchers from the University of Barcelona (the Spanish university with the most highly cited researchers) also appear: Manel Esteller, Josep M. Haro and Rosa María Lamuela. What does the Highly Cited Researchers list refer to? The Clarivate Analytics list, also known as the Highly Cited Researchers list, identifies the most influential scientists in the world – those who are among the top 1% most cited in their speciality. This is one of the most reputable classifications in the international scientific and academic communities. It features over 6,000 of the most important scientists in the world across 21 scientific fields, from clinical medicine and neuroscience, to economy, agriculture and the environment. Of the more than 6,000 professionals who appear on the list, 119 are investigators working in Spanish institutions; 13 in the Hospital Clínic – IDIBAPS and 5 form part of the barnaclínic+ medical team. 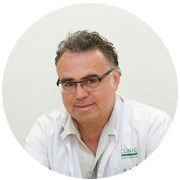 Dr Josep Dalmau, a barnaclínic+ Neurology specialist, is an ICREA investigator, consultant in the Neurology department at the Hospital Clínic and an associate lecturer of Medicine at the University of Barcelona, and lecturer of Neurology at the University of Pennsylvania. 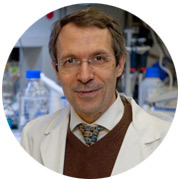 He is an expert in neuro-oncology, paraneoplastic syndromes and autoimmune encephalitis and, last year, he received the Rey Jaime I Award for medical research for his work in the field of neurology and psychiatry. He leads the Clinical Neuroimmunology and Experimental Autoimmune Encephalitis program in the August Pi i Sunyer Biomedical Research Institute (IDIBAPS). Dr Ramon Estruch is a specialist in the barnaclínic+ department of Internal Medicine and Senior Consultant in the same department at Hospital Clínic de Barcelona. He is also an Associate Lecturer in the Faculty of Medicine at the University of Barcelona. 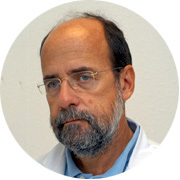 His main lines of research are: Effects of the Mediterranean diet on cardiovascular diseases and cancer; Mechanisms of the effects of moderate consumption of wine and beer on health and; Effects of olive oil, nuts, tomatoes and cocoa on blood pressure, lipid profile and inflammatory biomarkers related to arteriosclerosis. His article “Primary Prevention of Cardiovascular Disease with a Mediterranean Diet” published in The New England Journal of Medicine, was the most read scientific article in the world during 2013 and continues to be a source of reference. Dr Francesc Graus is a barnaclínic+ Neurology specialist. He is also Head of the Neurology Department at Hospital Clínic. Dr Graus is a world-renowned expert in the diagnosis and treatment of brain tumours, neurological complications of cancer and transplant in multiple sclerosis. He conducts his research activity with the IDIBAPS. team, and primarily studies the immunogenesis of paraneoplastic neurological diseases. Worthy of note among his medical milestones is the development of a patent, along with Dr Josep Dalmau, for the diagnosis and treatment of an autoimmune disease associated with neurodegenerative processes and sleep disorder. Dr Eduard Tolosa also forms part of the barnaclínic+ Neurology team and is a specialist in the treatment of movement disorders. He is an emeritus professor of the University of Barcelona and an IDIBAPS investigator. His research activity focuses on the clinical, neuropathological and therapeutic aspects of synucleinopathies; a group of neurodegenerative diseases. Worthy of note among his medical milestones is his participation, in 1989, in the foundation of the Hospital Clínic-IDIBAPS Neurological Tissue Bank. The aim of this bank, which is still an active leading bank today, is to obtain and store samples of nerve tissue from patients who have died as a result of degenerative diseases for subsequent research. Dr Eduard Vieta forms part of the barnaclínic+ psychiatry team. 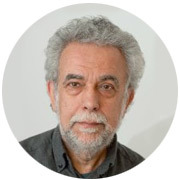 A world-renowned expert in the diagnosis and treatment of bipolar disorder, he is Head of Psychiatry and Psychology at Hospital Clínic de Barcelona and a lecturer at the University of Barcelona. 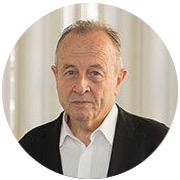 He is one of the most influential scientists in his field, he is conducting research in the IDIBAPS Bipolar Disorder group, which focuses on studying the causes and pharmacological and psychological treatment of bipolar disorder. His unit is a world-leader in the treatment, research and teaching of this disease. Last year, he was named best researcher of the year by the World Federation of Societies of Biological Psychiatry (WFSBP).